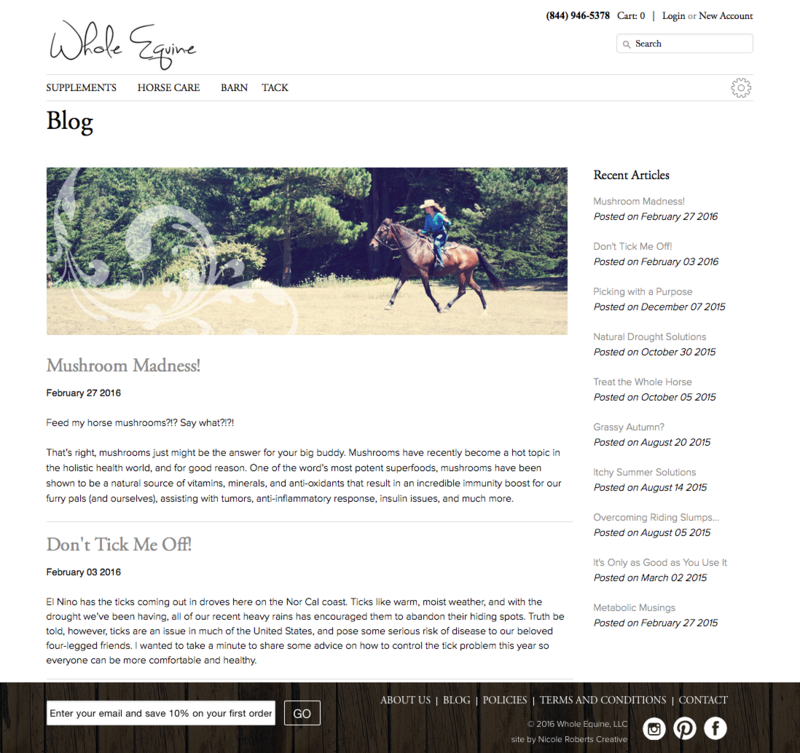 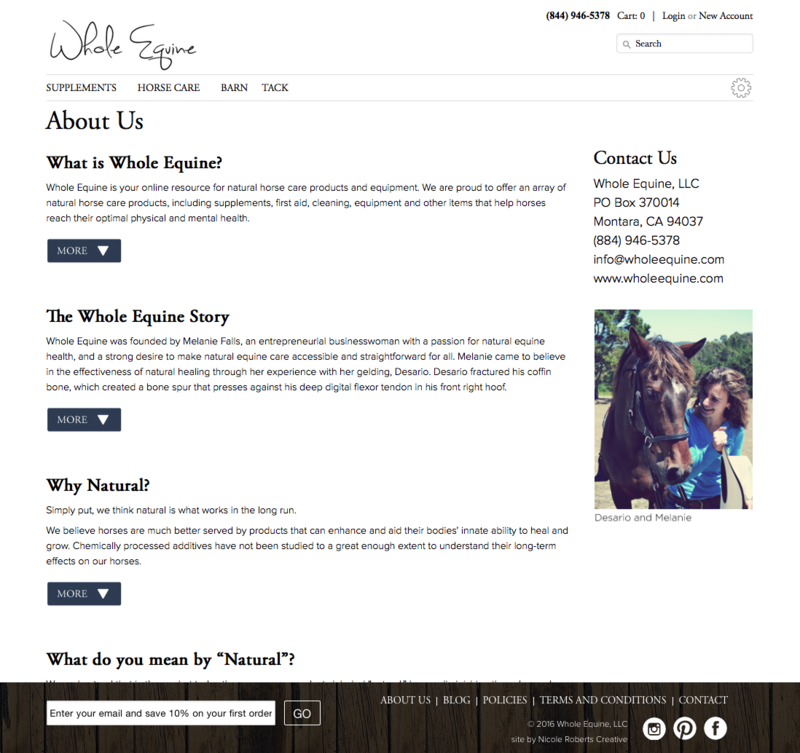 An e-commerce website designed for horse care products merchant in Montara, California. 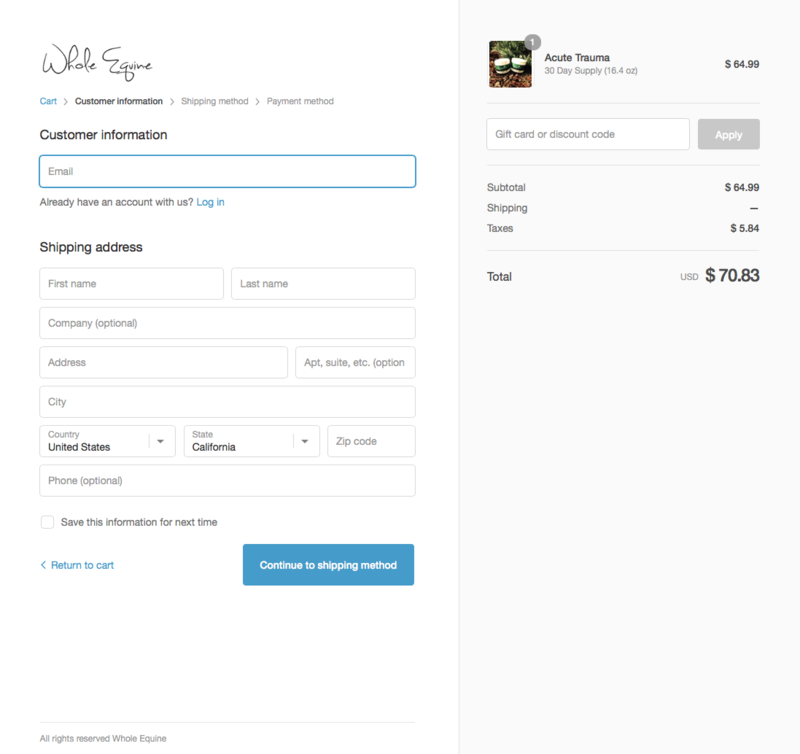 Build with the Shopify cart solution the hosting and software will always be up to date and secure. 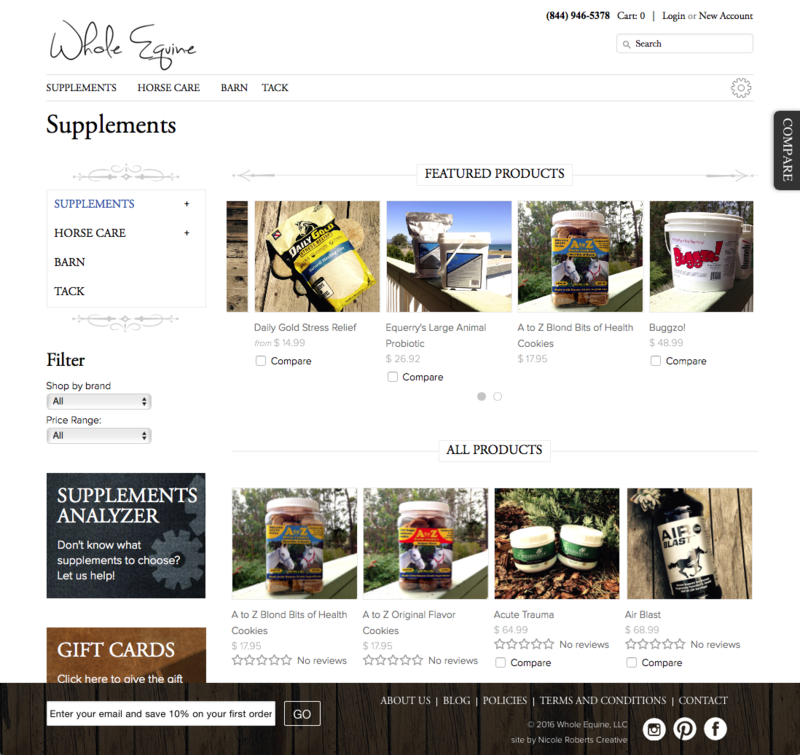 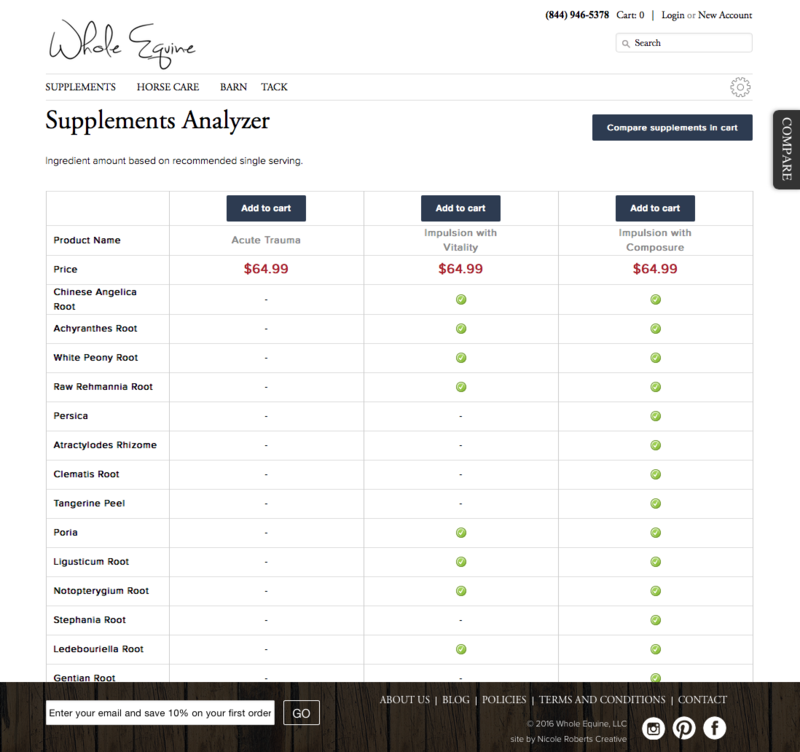 The supplements category of this site needed a custom “Supplements Analyzer” tool built to help customers compare the ingredients of different brands. 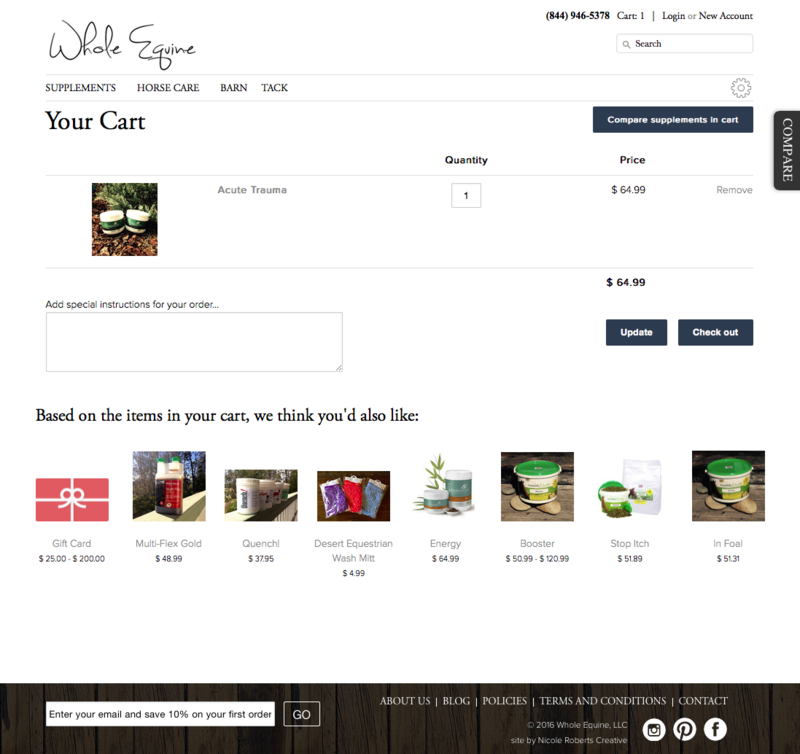 After comparing ingredients the customer can “add to cart” and purchase with confidence. 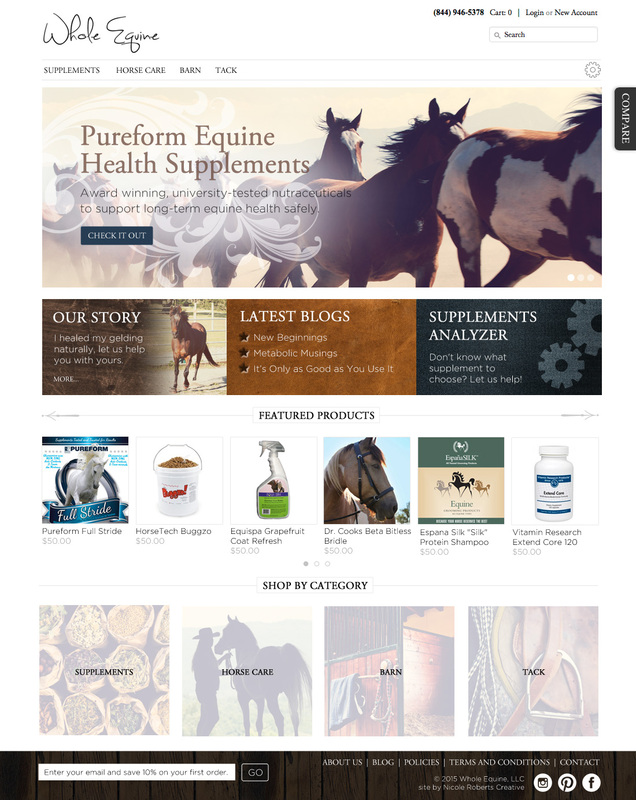 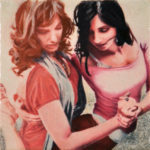 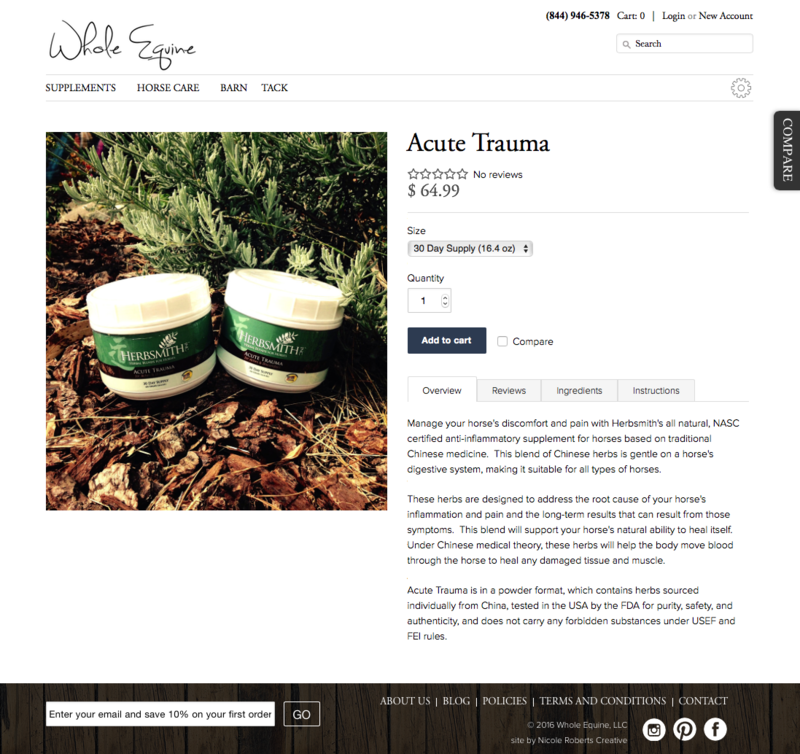 Site also features product carousels, featured products, customer reviews, recommended products, email signup and a blog. 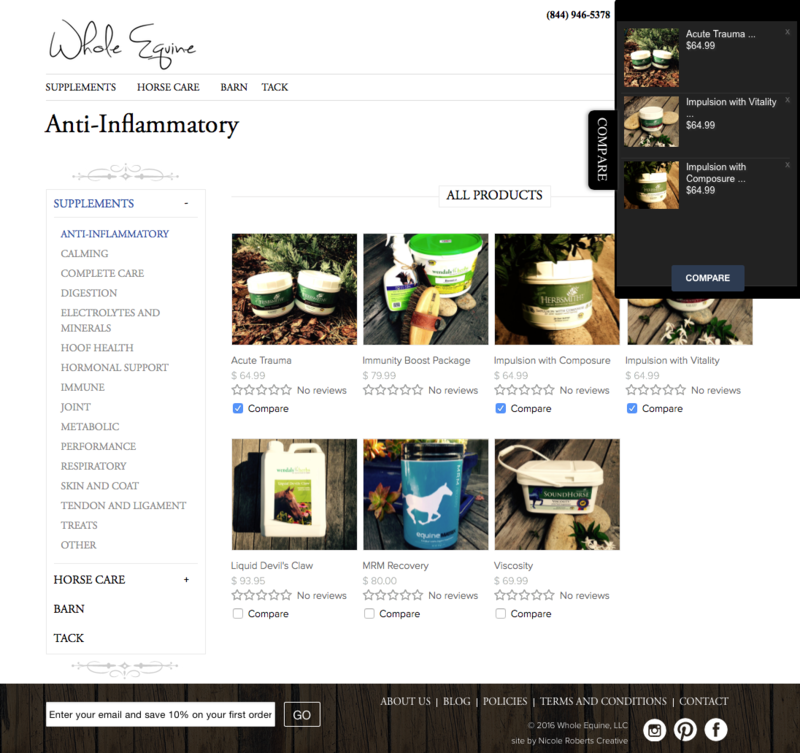 Product pages are enhanced with image hover zoom, and tabs for overview, reviews, ingredients and instructions for each product. 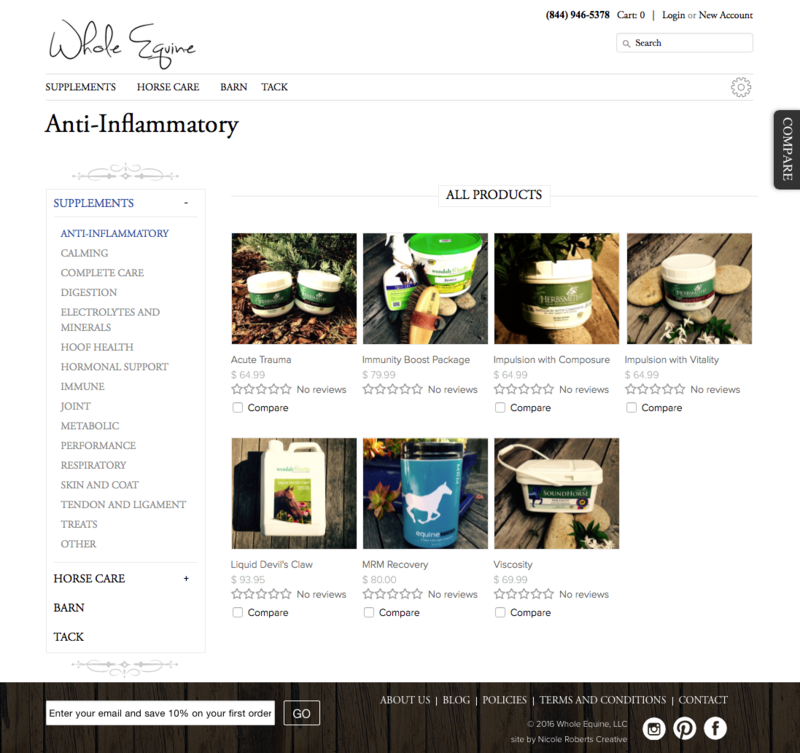 The clean design and inspirational promo photo treatment creates a shopping experience that the customer can trust and enjoy.